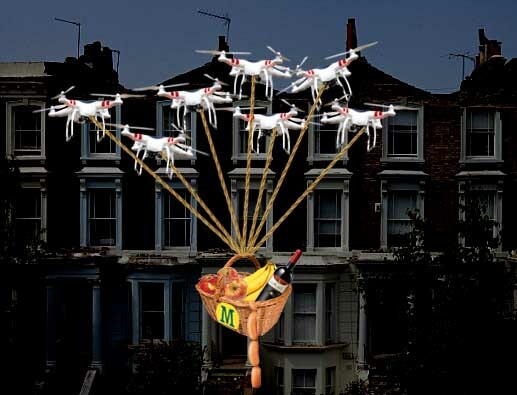 The Morrisons grocery chain this week stole a march on its rivals with the UK’s first licensed grocery deliveries by drone. The ‘Fresh-2-You’ service harnesses the combined lifting power of multiple, low cost DJI Phantom machines and, it is claimed, promises an 18 minute delivery time on goods up to a maximum weight of 18Kg within a 5 mile radius. The new service is being piloted for three months in the area of Horley, Surrey and we asked Mr Hopkins if there had been any teething troubles.